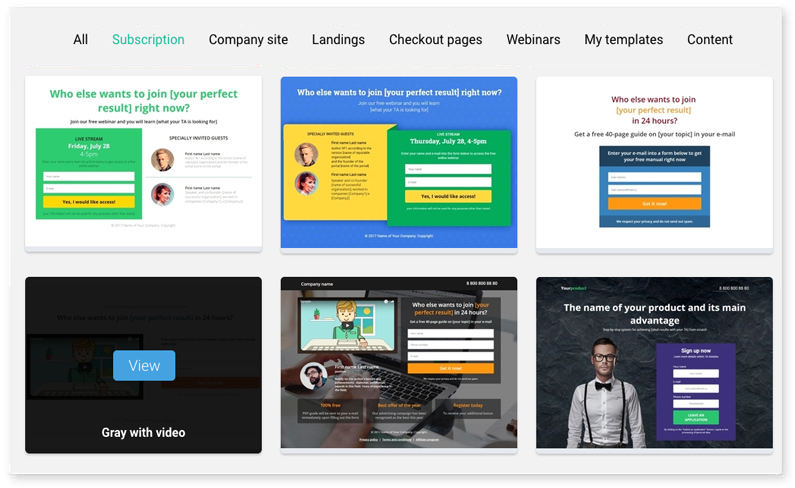 More than 50 premade templates of subscription pages, webinar pages, selling pages, payment pages, and training pages. One click is enough to select the appropriate option. A simple visual designer where you can easily assemble a page from pre-made sections or elements without the help of a designer and programmer. With mobile page design optimization, you can be sure that your landing page will be conveniently viewed on tablets and mobile devices. Just specify in the settings of the form what will happen after filling in the data, and the site visitor will immediately get to the desired segment. Display and edit call to action buttons during a live broadcast without reloading the page. 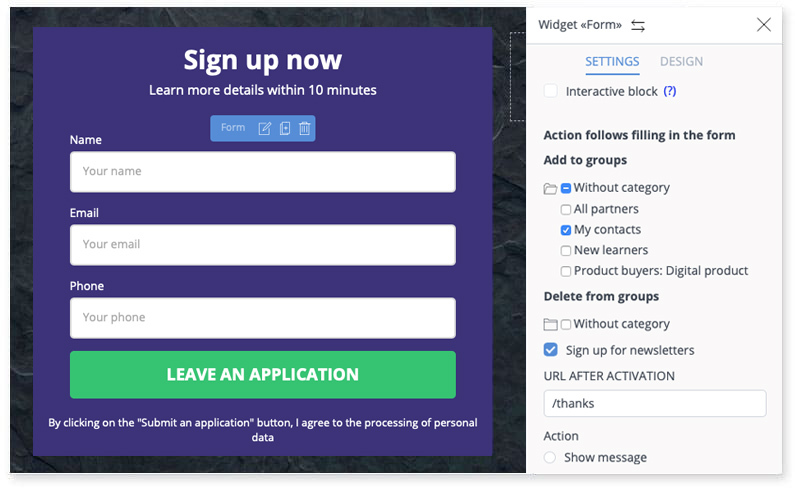 Any element of the visual page builder can be made interactive: buttons and order forms, comments, messages to customers. 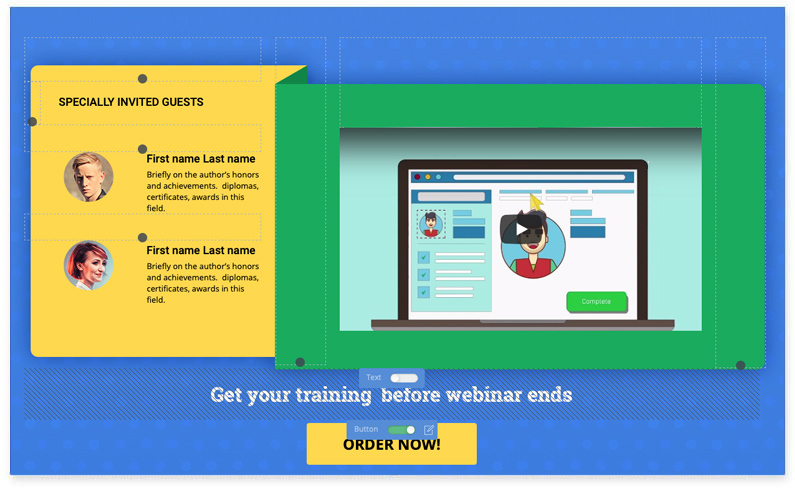 Repeat the conducted webinars for new viewers automatically! 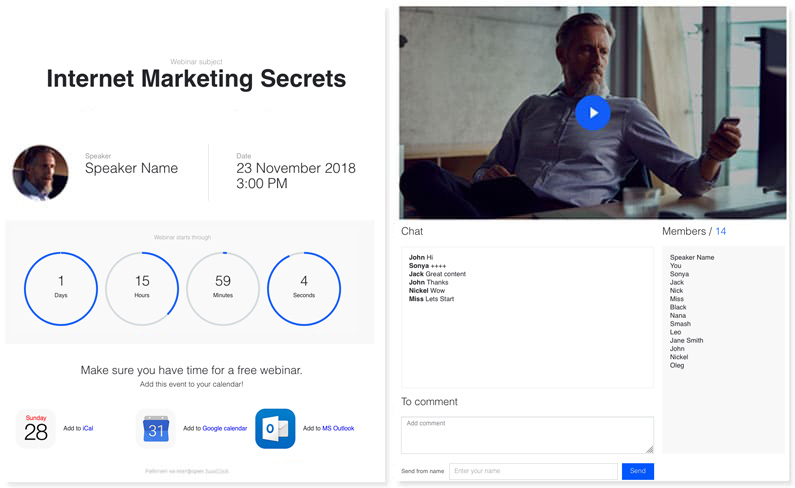 To do this, simply specify the link code of the desired YouTube video as well as the date and time of the webinar replay. Before the start of the broadcast, each viewer sees the individual timer of the report, and then gets on the webinar page, which completely simulates the live broadcast. 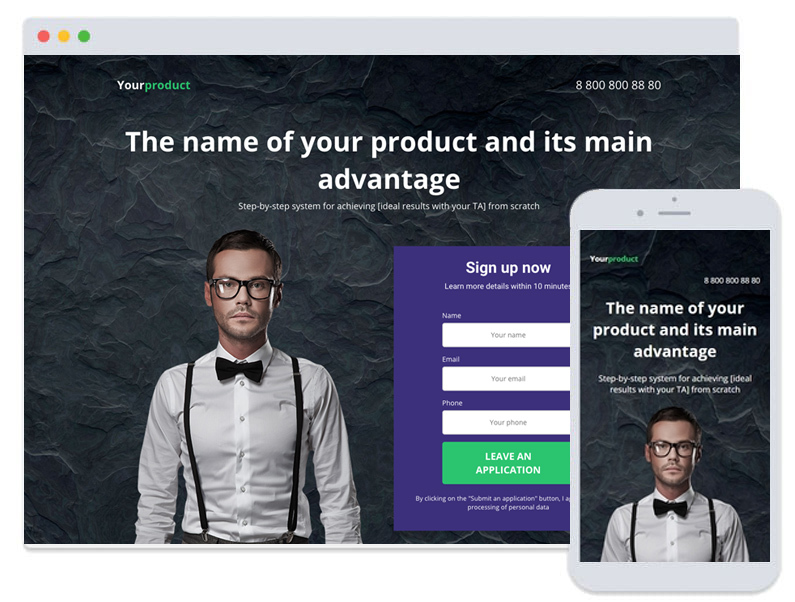 You can set up prepared replicas of the chat participants, or place a social comment code for real-time communication, as well as pre-set the time for the appearance of a call to action button or a form for ordering a special offer. 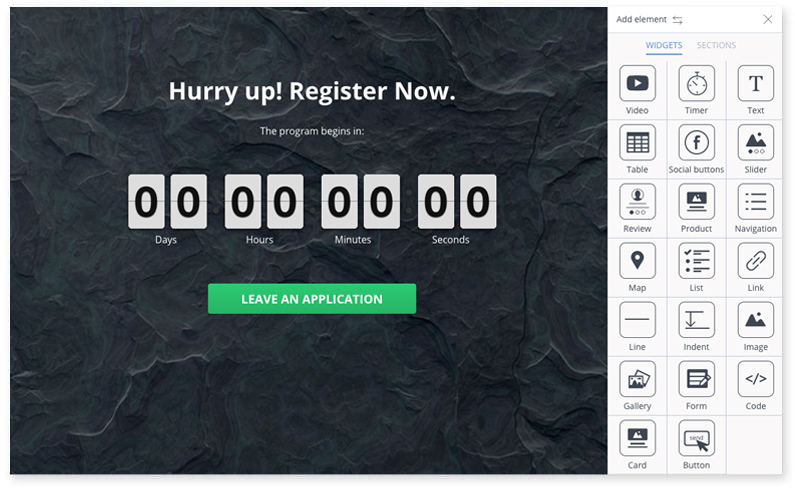 Immediately after registration, your pages will be available at your_login.justclick.io. 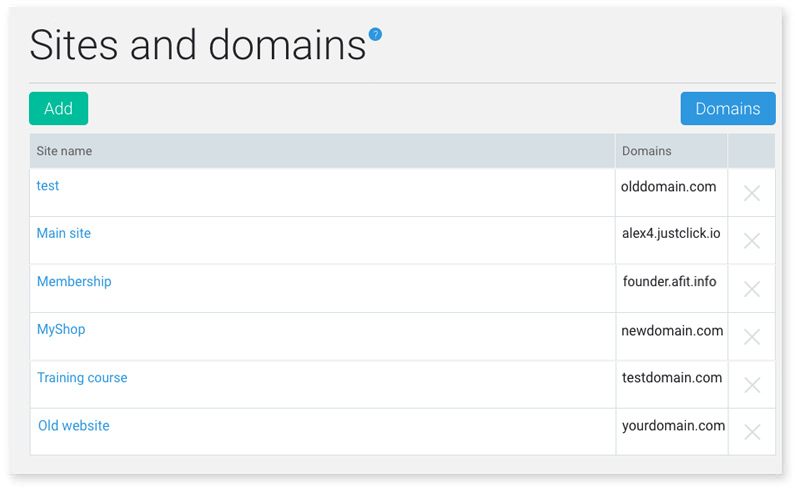 At any time, you can change the domain so that all created pages of the site are displayed at your own page. Additionally, an SSL certificate will be automatically prepared for you.